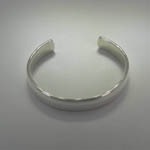 Desc: Sterling Silver plain cuff bracelet. 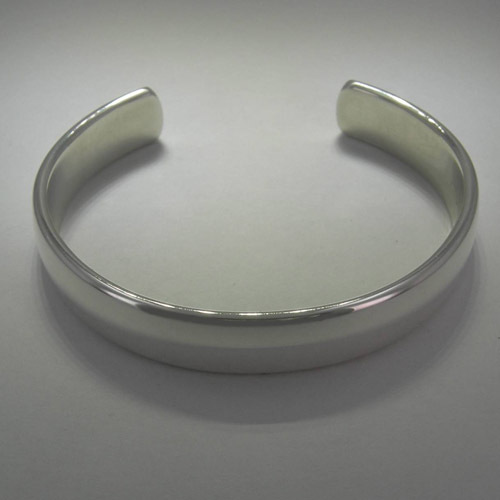 The bracelet has a bright polish finish and is thick. 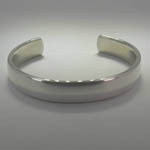 This bracelet can be worn with bright finish or can be engraved. This bracelet is made in the United States of America.